In this report, we briefly describe some individual cases in which the relatives of an Uyghur living abroad got persecuted in East Turkestan (also known as East Turkestan Uyghur Autonomous Region in China). The people who provided the information us the information below all live abroad. However, we did not identify them by their real names and in some cases by the names of the countries they are currently residing in. The reason is, if we identify them, the Chinese government will persecute their relatives still living in East Turkestan. It is a common practice in China, and as far as we know many Uyghurs have got persecutated that way. 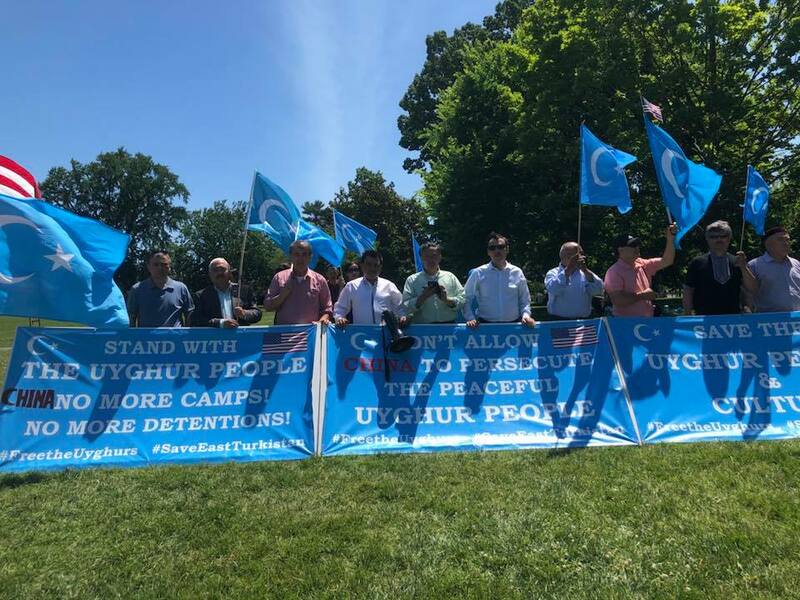 We have recently learned from some sources back home that the number of the Uyghurs currently being held in jails and in “political re-education concentration camps” (http://freedomsherald.org/ET/unb/ ) is 800,000 – 1,000,000. This is an official number we obtained, and actual number could be much higher than one million. Some people who came out of East Turkestan to abroad recently are saying that the number of the Uyghur people who were jailed, detained in Nazi sytel concentration camps and their young childred being kept in orphanages is more than 5 million. The following cases are described only in the order of the information that we received. My second older sister was sentenced to 17 years (of prison terms), her husband was sentenced to 8 years. They had 3 sons and one daughter. Their youngest child was a boy, and was taken to an orphan care center. The other two sons and the daughter were also taken away by the police, and I don’t know for how many years they were sentenced to. My oldest sister’s son and her husband were also sentenced to jail terms, but we don’t know for how many years. My third sister was also arrested, and we don’t know anything else about her. Her husband was sentenced to 8 years. My third sister’s 15-year old son was also arrested, but I don’t know for how many years he was sentenced to. That is, in my extended family, 10 people were sentenced to various jail times, and one child was taken to an orphan care facility. My sister has never had a passport, never been here, and never been to any foreign country. We loved each other so much so that we could not live without seeing each other. We used to live in a city in Northern East Turkestan (East Turkestan). I communicate with her over the telephone. She was detained for chatting with me over the phone. Recenlty when I called her, she said “please do not call me again, they have put me in hospital, and I have just returned home.” I asked why, and she said “your fault made me ill.” Now I understand that because of my fault of coming to Turkey she was jailed. Recently we saw a sad news in the Istiklal newspaper. According to that paper, a boy named Kawser was sentenced to 16 years of jail term. My son is so sad and cried very hard when he heard the news. That boy separated himself from the Uyghur community and didn’t participate in any community or political activities. He was afraid to visit our home and he was always very careful. At that time, he was in a college in Karaman Marash city. I asked him many times to visit my home in the current for home-made Uyghur foods, but he told me that “my parents are back in our homeland, I’m afraid that would endanger their safety”. 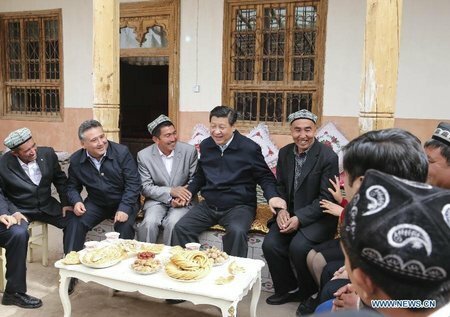 I told him our home is far away from the rest of the Uyghur community, and is surrounded by Turkish neighbors and nobody would recognize him if he visited our home. He still declined my invitation and told me it is better for him not to come, so that he would not face trouble from the Chinese authorities when he returns back to our homeland in the future. Since then, very likely due to his extreme cautiousness, he did not even pick up my phone calls. In order to make a living he worked as a translator in a Chinese owned electric company in Kariman Marash. He didn’t participate in any Uyghur community activities. But when he went to our homeland in China to visit his family, he was still arrested and sentenced to a lengthy jail time. When I was working as a shopkeeper I had a dentist neighbor. He and 10 or so friends got together and ate dinner. It was a regular Uyghur gathering with funny jokes , and they were having good time, no sensitive topics were discussed. After they went home, some of the dinner participants were arrested by the police. That gathering was organized by a person called Ablet, and he was arrested on a charge of organizing that event. He was sentenced and currenly serving in a prison in Karamay City. Shortly after that, my dentist neighbor was also arrested. He has two young children, one of them is still an infant. Local government officials warned neighbors not to give any food or material support to their present family. If they did they could also be arrested. Government officials also warned his wife by saying: “Do not get any donation from anyone, including your parents and relatives. Whoever gives you any material support you need to report that to us. If you don’t, we will increase the degree of your husband’s punishment to a more severe term. If you need any help, you need to directly contact us”. She got into a very tough situation. We supported her in secret. One of her children got sick, but she didn’t have enough financial resources to take her child to a doctor. We gave her 50 Yuan. Several other people also gave her some money. Also, even though a government official told her that they would help, but that never happened. The government oppression went up to an unprecedented level. After I came back to Turkey, I talked to the lady to whom I transferred my business assets. I asked my dentist neighbor’s situation, and she told me his situation has not changed that much, and she did not tell me anything else. The dentist is over 20 years old. When I visited our hometown in East Turkestan (East Turkestan), he was not sentenced to a jail term yet. Now, according to the news, he is sentenced to 8 years of prison term, and he has serious medical condition that needs to be cured. The dentist’s wife is about 23 years old. After her husband’s arrest, I always saw her sad and crying. On March 14, 2017, they took my father away. In order to learn his whereabouts, my family went to a police office and asked them if they know the whereabouts of my father. They asked my grandfather to give his ID card number to the police. They checked his number and found that no person was assigned that ID number in East Turkestan. Two weeks after arresting my father, they also arrested my grandfather. My grandfather stayed in a detaining center for two months. During that time, his health deteriorated and the police dropped him off at a hospital. Shortly after, they arrested my grandmother. When the police saw she became very week, she was also dropped off in a hospital. My grandparents are currently in their 60s. Then they arrested my uncle. After he was detained for about three months, he was sent to an ER also. All of my arrested family members were in good health when they were arrested. But their health deteriorated during their detention and they were dropped off in a hospital. My uncle was dropped off in ER during a night time without informing our family. He got slightly better next morning and contacted our family. When our family member went to get him, he was taken away by the police who were guarding him. On the same night, he was dropped off in ER again with a failing health. This is what I know about my family. I heard my mother became mentally disordered. I got this information about 3 month ago, in October of 2017. I heard this happened some time ago, but my brother kept it secret from me for a while before telling me. So far, we got no news regarding my father’s whereabouts. My father’s name is Hushur. My grandfather’s name is Ilham, my grandmother’s name is Aynur. The uncle’s name is Adil. I am Guljamal, and I am about 18 years old. His father was a shopkeeper in a market, and her mother was a teacher. In about March 2017, there was a big event, an explosion, in Southern East Turkestan, according to a news reported by Instiklal TV. After that event, the Chinese authorities brought about 5 thousand military troops from inner China and carried out mass arrests. During that time, her father was arrested, after that he vanished to this day without a trace . She did video chats with her father through WeChat before, and she kept those chat records in WeChat archives. I have seen those videos before. Recently, she opened those files and discovered those video records were edited. Parts of the video showing her father was deleted, and other non-relevant parts stayed intact. The original video was 4 minutes long, but now it was shortened to 2 minutes. No news regarding her father so far. She could not contact with her uncles and aunts. Her brother used to work for the police, but he also disappeared in April. This girl is currently living in Turkey without any financial support. My name is Yunusjan Emmet. I am from an outskirt district of Karamay city. My parents were divorced when I was very young. Currently, I am abroad and have lost contact with them for quite a while, and I don’t know their whereabouts. I believe that they might be in jail or locked up in one of the “political education” camps proliferated in recent months in my homeland. I heard that Yasin Abdusalam’s brothers are also vanished without trace. He is someone I knew from my neighborhood. I can still remember that his older brother’s name is Abdulehet, but I cannot recall his other brother’s name. But I know that the brothers are from a religiously conservative family. I heard later from my wife that the brothers were also detained and I believe that they could be labeled as “separatist” or “religious extremist”. I don’t know anything else about them. Due to severe psychological trauma, and emotionally stress and anxiety, my memory is deteriorating. I could not recollect anything else about them. In February 2010, I was detained at Urumqi airport terminal. My mother was also picked up simply because she came to say goodbye at the airport. Even though I was holding a legally issued passport and visa, they arrested and sentenced both of us for two and half years on an accusation that I was going abroad to join “Jihadist movement”. Any parents in their right minds would accompany their loved ones to the airport to say goodbye. I was leaving her to go abroad for education, and she was detained just because of saying farewell to her child at airport. They accused my mother of instrumental and financially supportive of my going abroad to engage in “illegal activities against Chinese state”. I believe that she is now again in incarceration due to the same charges. I won’t forget the days that my family was harassed regularly and they forced us to attend “patriotic study meetings” on a weekly basis. My mother has heart problems and is suffering from poor health. She was emotionally tormented by the harassments and humiliations. Since I left abroad, police visits and interrogates her regularly about me and my activities abroad. I am deeply aware of the tremendous sufferings and traumas my mother and sister are going through for my sake. I sometime try to comfort myself that what happed to my loved ones are way less horrific than what happed to other Uyghur families and their loved ones back in my homeland. Many of them died in Chinese prisons or simply vanished without official account. Both my sister and my son were vanished, and I believe they are in jail or in “special education “camps now. Or, my son might be kidnapped by Chinese human traffickers to inland China. I heard many horrific stories about Uyghur kids in our region are disappearing. I am originally from Southern East Turkestan and currently residing in Turkey with my daughter. My sister and her 11th-grader son visited us in Turkey about a year ago. Police took my sister from her home the second day after they went back to their home from Turkey. Her son was expelled from school because of his trip to Turkey. I lost contact with her and she is incommunicado. I called my parents and they pleaded me not to call them. I did not call any of our other relatives or friends back home because I don’t want to create trouble for them. I heard that police will harass those who receive calls from abroad. Relatives of those detained or missing dare not ask police whereabouts of their loved ones. My sister and my son are gone for almost 10 months now, and I am devastated and helpless. I dare not go back to my country because I know they would definitely put us in jail, too. Several years ago, they arrested my elder brother, too, and he perished in prison. In the end of February, 2013, there was a man named as Mirshat in a village of Ghulja. He was above 60 years of age, and he was a Chinese spy. In spite of that, his sons were pious and they were men of good morality. One of his sons, named as Shirdil, was about 45 years old. Shirdil had three sons. Shirdil’s wife got pregnant, and she wanted to have a daughter when all of her children were boys. Although we were living in the same neighbourhood, we were unaware of her pregnancy. The woman kept her pregnancy very secret, and she moved to a different place when her stomatch became bigger. This was noticed by one of the villagers. I was not sure if Shirdil’s father reported this after discovering his daughter-in-laws’ secret or someone else did so. The woman was not at home when the family planning officers came to visit her. Her husband was detained, but the woman said she was due shortly and she would return home after she delivered the baby. She genuinely believed they would not kill the baby once she was born. The police called for Mirshat and said: “You are a government employee. No matter how, you must find your daughter-in-law. Otherwise, we will suspend your work and you will stop receiving salaries.” Returning home, this man pressured his son to find his daughter-in-law and requested him to get her home. Despite of any consequences, the man eventually found his wife who was hiding at a relative’s home. The police took her to the hospital by force, caused her to have an abortion even though the baby was due in just a few days. The woman was given an injection to kill the baby before she was to be aborted. The woman was carrying the baby for nine months. The baby was a well-developed boy. After all of this, the woman became seriously ill.
Mirshat, who was a healthy man, also died secretly in less than a month after he handed over his daughter-in-law and killed his own grandchild. It was a spring time when Shirdil’s wife told me all about this. There were two imams for the mosque in my neighbourhood. One was my husband, Ilshat Hajim, and another was Yunusjan. One day, Yunusjan said: “My son has now grown up. I am worried that he would get involved with something terrible here and cause trouble. Therefore, I would like him to join you to study abroad”. We then came to Istanbul with Yunusjan’s son, Mirshat, who stayed with us in our house for more than a year. Mirshat went to study the Quran on the other side of Istanbul. Later, his older brother also came to Istanbul. Mirshat then moved out to stay together with his older brother. Later, he was sent back home to East Turkestan. Before he returned home, his parents had already spent 100,000 RMB to have him de-listed from a terrorist list. On his way back home, Mirshat posted a short video of him online when he was on the plane. Seeing this, my son told my wife that Mirshat was going home. I then telephoned his older brother and I was told that Mirshat got home safely. We were not worried about him when we saw he posted his more pictures on the internet after meeting his parents in East Turkestan. Towards the end of February, 2017, the police suddenly came to Yunusjan’s house and Mirshat was taken away. So far, there has been no news about this boy. Mirshat’s older brother, Ilshatjan, had to contact with his parents via another person because he himself cannot contact them directly. In April 2017, his father, Yunusjan, was also detained by the police, but was released in June. Just two days after his release, he was again taken away by the police. Since then there has been no news about him. We tried very hard to find out information about Mirshat but in vain. We went to many places, but anywhere we go, we are simply told that ‘Mirshat is not here’. Mirshat’s house has now become a place being frequently visited by the police. Mirshat is 18 years old. His name on his passport appears as Abdulehet. People in his neighbourhood just call him as Mirshat. I had a friend named as Polat. Because his younger brother had been taken to the re-education center in China, he heard from his father that his younger brother’s heart had stopped on 9 January 2018. According to him, his younger brother used to be healthy. His father is over 80. According to the information from China, most of the people who are taken to the re-education centres are dying there. Nuriman. In Egypt, there was one boy and two girls responsible for the Quran literacy of new female students at the Quran course. In 2015, after going for a Haj from Egypt, Nuriman returned to East Turkestan with her husband and their children. In 2016, she sent her oldest daughter to Turkey, and her son to Egypt, to study. In 2017, five people in her family were arrested. Her oldest daughter was sentenced to 3 years of imprisonment, her husband and their son to 5 years each, and she herself to 5 years. The woman settled down in Urumqi although she was originally from Ghulja. Guljamal. Originally from Turfan, Guljamal was a student at a senior middle school in Izhar, Egypt. In 2016, she was admitted to Izhar University. Before starting her degree at the university, she returned to Turfan to visit her parents. Being unable to return to Egypt, she was married locally. One week after her wedding, she was arrested and sentenced to 5 years of imprisonment for studying in Egypt. Zeytun. Originally from Kashgar, Zeytun was a student at Izhar University. She taught Arabic grammar in a religious course for Uyghur female students. In 2016, she returned to Kashgar to get married. She planned to return to Egypt after her wedding. But she was arrested in 2017 and was sentenced to 8 years of imprisonment later on. Guljamal. Originally from Ghulja but Guljamal was settled down in Urumqi. In 2015, she returned home from Egypt. While in Egypt, she worked as a teacher to Uyghur children to teach Uyghur literacy. In 2016, Chinese authorities broke into her house and took her back to China from Egypt. There has been no news about her since she arrived at Urumqi International Airport. Abduwali. Originally from Hotan, Abduwali came to Egypt from China in 2016. His parents were sentenced to 15 years of imprisonment each for sending Abduwali and his older brother together with his children to Egypt. Mediniyet. Originally from Ghulja, Mediniyet was admitted to the preparatory school for a junior middle school in Izhar. In September 2015, Mediniyet returned to East Turkestan but was unable to return to Egypt. In 2017, Mediniyet was arrested by the Chinese authorities. Ghuppur. Originally from Ghulja, Ghuppur was a student at a senior middle school in Izhar. He returned to Ghulja, East Turkestan, in 2016. He was in an extremely difficult situation when he was in Ghulja, so he returned to Egypt in less than a month. Being forced by the Chinese authorities, he returned to China in 2017. He went missing as soon as he arrived at Urumqi International Airport. After a certain period of time, it appeared that he was sentenced to 8 years of imprisonment. Shokret. Originally from Ghulja, Shekret made a visit to East Turkestan in 2015 when he was a junior student of a middle school in Izhar. Following the strong request for him to return to East Turkestan from his parents who were pressured by the authorities in 2017, Shokret finally returned to East Turkestan but he disappeared after arriving at Urumqi International Airport upon returning from Egypt. After a certain period of time, it became known that Shokret had been sentenced to 8 years imprisonment. When we were back home, we know that the son of Mihrigul, who is the sister of Ilshat Haji, were preparing for college at home. They made their living by selling milk. Mihrigul raised kettles for living after she retired and her son did the delivery using his motorcycle. One day after a delivery, he stopped at an internet caffee to search for college information. After he came out from there, all of a sudden a number of policemen appeared in front of him and asked where he got his motorcycle, which really baffled him. He said to them that he had owned it for a while and he has proper documents to prove it. However, the police started to physically attacking him disregarding his explanation by calling him “stupid”. He punched back a couple of policemen in self defense, for which he was arrested and was forced to sit on an electric chair for a whole night. The police interrogated him the whole night by beating him using batons and asking him where he got his motorcycle. And it happenned in a police station in Urumchi. Since he did not return home at expected time, his siblings started to look for him by tracing his delivery routes by car and motorcycle that they owned. They searched for him for a whole night but he was nowhere to be found. On the way back home around 4am in the morning, they heard some shouting voice very similar to thier brother’s voice when they were passing by the police station. So they approached the police station and knocked its door. – I heard a voice similar to my brother whom I am looking for whole night. – Oh, Ilshat is your brother? – He is inside. He attacked the police so we detained him. – What was his crime? – The motorcycle he is riding is a stolen motorcycle. – We bought it from a shop and we have papers that I can bring from home to show you. They went home to get the papers and showed it to the police. Then two policeman brought Ilshat out by carrying him wihout saying anything. He was severly beaten and lost conscienceness. His brothers started to ask questions from police why he was beaten so serverly since he did not commit any crime. However, instead of explaning the case, the police started to threaten them with arrest. So they returned home with Ilshat who was severly injured by the police buttons and electric stun gun. It took a long time for him to recover from those woonds. But it did not stop there. Since from that incident, Ilshat was detained multiple times and accused with so called political crimes as thousands of Uyghurs face on daily basis. There is no trial or conviction whatsoever but people get arrested whenever police wanted. What happended to my son is pretty much similar in nature. He was at home when one of his friend called him out. As soon as he stepped outside, he was abducted by police just for the fact that he was wearing a blue jacket that a robber was supposedly wearing during an earlier robbery. So several police officers were running around arresting anyone who happens to be wearing blue jacket in town. His brother saw the whole thing and ran to the house to let us know what had happened. So we immediately followed the police to a police station. Once we got there, we asked the police for an explanation. They made us wait for about an hour and finaly told us that they made a mistake. We know from prior experience that it is no use to puruse justice there and we know that my son’s fate will be no different than Ilshat we mentioned ealier. So we decided to leave our homeland and go to another country by selling all we had, including our car. With the help of our relatives, he was able to get his passport and come to Egypt. When our eldest son’s passport was ready, he and his future wife could not come with us, so we left them behind. What I have shared here is just something that happend to me or people around me. I am willing to share these hoping that at least we can let the world know about terrible injustices that Chinese government is forcing upon the Uyghurs back home. My husband Emet worked as a Muazzin (caller for prayer) in a Mosque for 15 years when we were in our homeland. He came to a foreign country without quitting his role (it would not be possible to come out safely if he did not keep this secret). A girl named Gulshen who was learning Quran from Emet has been jailed because of teaching how to pronounce the two letters – Alif (ا) and Baa ((ب to another woman. When that woman was interrogated to confess who taught these, she told Gulshen did it. The girl Gulshen was 16 at the time, and she was taken from her home at midnight because of teaching the two letters. When a policemen knocked her door at midnight, before openning the door she asked her dad. These must be policemen who came to arrest me, what should I say if they ask who taught me Quran? If I say Emet taught me, then they would torture him a lot. (We all and even our children heard many times that Chinese police torture people brutally). I would not tell about him (Emet), how if they torture me too painfully? Before getting an answer and open the door, policemen banged on the door so hard that it nearly shattered. Later her dad informed us that Gulshen was detained and Emet should move to somewhere elso or he will be jailed and would also cause many of his students to be arrested. There was a rich young Uyghur man in our town and he used to be in good relationship with policemen. He also said, please help get Emet moved somewhere elso immediately. At the time, we were under close watch by police, they used to come to our home everyday, asking qustions such as “who taught Quran’, “where did you learn” and so on. We answered all their questions, the next day policemen from city police bureau came for the similar questions in various ways. Policemen from our twon brach office and local village also came to us with similar questions and threats every day. Our home was under police watch from 2013 until the end of 2014. Emet gave the same answer to them every time. A police from city police bureau named Yaqup (please change his name as he is Uyghur and an assistant police) told the rich young Uyghur man that Emet has to take shelter, has to move to somewhere else. Before everything came to the surface, a young man helped us to get visa and we went to Malaysia with Emet and our daughter. We had to leave our son there as he was restricted from going abroad for 5 years. Then we came to the current country via Malaysia in 2015. After we left, Chinese police troubled my son a lot asking about our whereabouts. As we advised before we left, my son said to police that “my brother is sick and my parents have gone to his country to take care of him, help him get over the illness. They will either bring him back or care for him in a hospital there until he recovers.” My son kept asking us when we will go back over the phone, and we kept saying ‘he is getting better and we will be back soon’. My elder sister’s daughter Minawar used to work in disability support sector in a town. She was the guarantor to my husband Emet to get passport. Therefore the police arrested her and threatened her, demanding her to bring my husband back home. At the time we were in the current country, she told us on WeChat ( a phone app we used contact with her before) many times that we must return to home. She said ‘I am now going to your country with police. Poliemen are with me now and I can bring you back wherever you live in your current country. You will see how I will bring you back. You have destroyed my family, caused me to be jailed and lose my job. My salary stopped, what do I eat and dring now?’ We shut down our phone but she kept sending messages. Meanwhile Emet’s elder sister, Mehirgul, was the guarantor for me and my children to get our passports. She was also in the same trouble. She was retired, and her retirement salary was stopped. Policemen detained her and told her that you were the guarantor for Emet’s wife and children. Emet has gone to overseas without resigning from his role as a Muazzin (caller for prayer). You must bring him and his wife back’. Her son-in-law said “ Why do not you come like a man? You caused us trouble and destroyed two families” in a very insulting tone. We remained silent as we understand that they were troubled. We told them that we are very sorry and we will go back soon. After the threatening messages from my elder sister’s daughter Minawar that she will come to our current country with police to arrest us. We left the city we are staying and moved to another city. Her threatening words made us feel that they will really come. We told our close friends in the former city that if someone asks about us please say ‘I do not know them’. Later we got to know that they issued arrest order for my husband Emet, we did not receive the actual copy of the arrest order, but learned it through Eli, a builder from our hometown who visited our home in our former city. He came with his wife Hornisa. His daughter Nurnisa was a student in our current country. She was sick at the time, her father came to take her daughter back home. When they returned to China all of them were put in jails just because they went to a foreign country in the “Restricted 26 country list” of Chinese government. During his visit at my home in our former city, he said ‘You should never return to your home, they have made an official arrest order. Emet’s older brother sent his words through him, my brothet should never come back. But if Emet comes back, they will torture him brutally. They looked for Emet a lot as if they searching for a hundred people’. When we were in our hometown, a rich young man built a two-storey mosque there. It was two-story with basement. The basement was made to meet congregation prayers needs, especially during Eid and Ramadan there were no enough space for people come to pray in ground level. The local government sent some people fill the basement with soil. They also broke down the mosque tower from its top saying it was made 40 cm taller than their regulation. The tower was 17 meter tall. When we visited our village, we saw the towers of all themusques there had also been broken from their top. Emet got involved in these incidents asking them to stop. When one Chinese man came in to a mosque without removing his shoes, Emet told him not to enter the mosque with shoes as the carpets were newly placed and need to stay clean. But the Chinese man got upset and said ‘ who are you to dare to say remove my shoes? What can you do if I do not remove my shoes’. 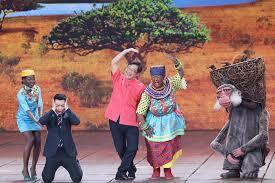 After the incident the Chinese man slandered Emet and blamed him of ethnic separatist. Then a group of armed police came to arrest Emet. The young man who built the mosque was so good in Chinese language. He spoke to police and explained the real situation, indicating Emet was speaking nicely to the Chinese man and Emet is in good relationships with other Chinese neighbours. He also said that was a misunderstanding and there was nothing like ethnic separatist. At the time, situation was not as bad as now and he was saved from being arrested. But they made him a target after the incident. These are the reasons we stayed in the current country. They (police) told my son that you will be freed from prison when your parents come back. When they arrested my son we did not know that we could actually apply for refugee under the United Nation (UN). Later our friends in our former city said “ Because they issued an arresting order on you, why do not you apply for a status to the UN? Recently this country and China are getting good relationships, so it’s better to go to another country”. Therefore we applied for a refugee status, but we are still living in fear. 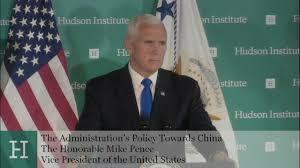 There is an agreement between this country and China that this country will transfer criminals to China. That’s why we are living in fear. We have not returned to our former city since long long time ago. This country has embraced us and we are living here according to this country’s law. Whichever country we will go, we will obey the law of the country while keeping our faith. If we go anyone’s home, we have to respect them. I always remind my children about this point. We have never involved with any illegal activity in this country.